Early yesterday morning my best friend L. called to tell me that her sister had died during the night. 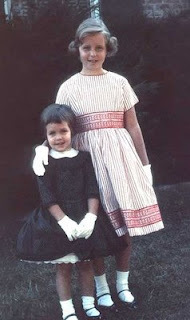 I spent the rest of day thinking about L. and her sister, and, about my own sisters. I mentally revisited the bumpy path that our relationships have traveled--but despite geographic distance and vastly different personalities and lifestyles, despite all that is different, I'm still awed by the strength that bond of "sisters" holds. 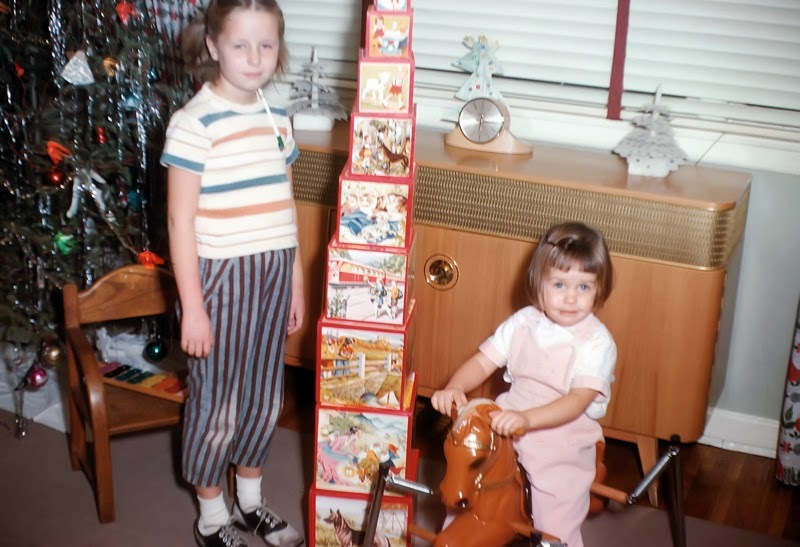 Today's photo is of me (I'm the little one) with one of my sisters. I really enjoy looking at the posts you made about your trip out west. Alaska looks so amazing. I have always wanted to go out there. Did I ever tell you that when I quit college, I had plans to go to Alaska for a summer to work in a fish processing plant? It would have been miserable and exciting at the same time. I can't remember why I didn't go, maybe because I had to work as a waitress to earn money to get out there and then the whole modeling thing started. It's funny to think, though, of how life would have could have been different had I gotten out there. Who knows, maybe sarah and I could have been in the same beauty contest. Anyway, I just wanted to write to say how much I like the blog and how adorable this photo is. It still looks exactly like you, just younger and smaller.